Innovation is a “must” for addressing long-term, global challenges and advancing on a path to greener growth. While business plays a key role in this area, governments need to provide frameworks to support research and development and the successful commercialization of promising technologies. One key element of such a policy framework should be a high-quality system for intellectual property rights (IPR) including effective implementation, which is essential for the development and diffusion of both new and existing technologies. 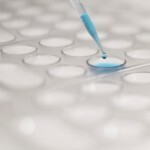 IPR provides the bedrock foundation that underpins business commitment to risky, long-term, costly, fundamental and applied research essential to ongoing improvements in existing technologies and to the creation of advanced technologies. 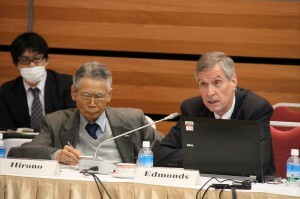 Left: Professor Jae Edmonds from the Joint Global Change Research Institute discusses the role of technology during his presentation “The Challenge of Achieving A Low-Carbon Economy Globally” at the Tokyo Dialogue in April, 2012. Policy and market frameworks should foster both the technological and financial innovations that enhance green growth in the overall economy. Policy Instruments panel with (left to right) Bert Scholtens, University of Groningen; Emanuel Massetti, Yale & FEEM; Chris Lenon, Rio Tinto plc; Simon Upton, OECD at the Paris Dialogue in November 2011. Innovation will provide opportunities in a wide range of sectors. Public/private partnerships will be needed to secure the necessary support for new infrastructures, legislative and regulatory frameworks that may be necessary to deploy a wide range of currently non-commercial green technology options. 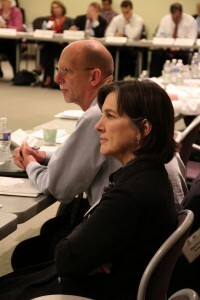 Left: Sherri Stuewer, Exxon Mobil Corporation alongside Steve Eule, U.S. Chamber of Commerce at the Washington Dialogue, October 2011.